For almost twenty years, One Straw Farm has been delivering weekly boxes of harvest-fresh seasonal produce directly to our Members. 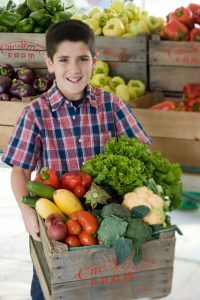 This program, in which Members pay in advance for a weekly delivery, is called Community Supported Agriculture (CSA) because Members support the farm through their upfront investment in organically grown produce they will receive during the growing season. To join, please see the map below to help you decide where you want to pick up your box of produce, which we call your Share. Note that the procedures for picking up at Farmer’s markets and other sites are slightly different. 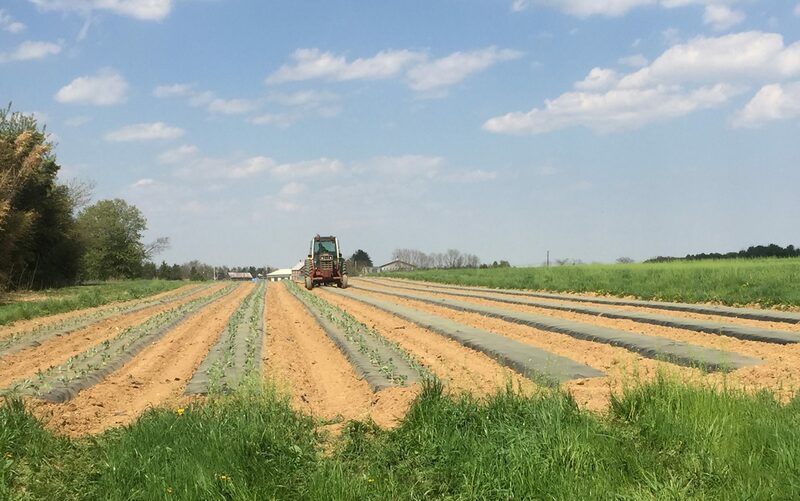 Depending on where you choose to pick up your Share, you can follow either one of the links below to join the One Straw Farm CSA and enjoy the benefits of membership. You may purchase membership before or during the growing season. Members who sign up after the season has begun pay only for the remaining weeks. Invitations to CSA-only Farm Days and pick-your-own flower events. Welcome to the One Straw Farm community! Fell’s Point Farmer’s Market 7:30 a.m. – 12:30 p.m.
Kenilworth Farmer’s Market 3:30-6:30 p.m.
Boordy Vineyards 4 to 6:30 p.m.
Filing Station 14910 York Rd Sparks MD 21151 12-6 p.m.
Mt Washington Private Residence in Mt Washington – Address Shown Upon Sign Up 1-7 p.m.
Johns Hopkins University Corner of N Charles St & 34th St 4-5 p.m.
Stevenson Private Residence – Address Shown Upon Sign Up 12-7 p.m.
Govans Presbyterian Church 5828 York Rd Baltimore MD 21212 4:30-6:30 p.m.
Pitango Bakery & Cafe 903 S Ann St Baltimore MD 21231 12-6 p.m.
Johns Hopkins School of Public Health Employees and students 3-6 p.m. MOM My Organic Market Jessup 7351 Assateague Dr Jessup MD 20794 11-8 p.m.
Diamondback Brewing Company 1215 E Fort Ave #008, Baltimore, MD 21230 5-8:30 p.m.
St Pius Xavier Church 6428 York Rd, Baltimore MD 21212 4-7 p.m.
Baltimore County Brewing 10950 Gilroy Rd, Suite F, Hunt Valley MD 21031 5-8 p.m.
Beth El Congregation Park Heights 1-6 p.m.
Elkridge Harford Hunt Club 3403 Pocock Rd, Monkton, MD 21111 After 10:30 a.m. MOM My Organic Market Timonium 20 West Ridgely Road, Timonium, MD 21093 11-8 p.m.
Dickey Memorial Presbyterian Church 5112 Wetheredsville Rd Gwynn Oak, MD 21207 12-7 p.m.
St Bartholomew Episcopal Church 4713 Edmondson Ave Baltimore, MD 21229 5-7:30 p.m.
Catonsville (M) Private Residence- Near FredrickRd/Rolling Rd 1-7 p.m.
Catonsville (P) Private Residence- Near FredrickRd/Rolling Rd 1-7 p.m.
Holy Cross Church 108 E. West St Baltimore MD 21230 3- 8 p.m.
** NEW ** Milk and Honey Market 10 E Lanvale St, Baltimore, MD 21202 4-6:30 p.m.